International travel and national identity may seem like new, provoking topics, but their growing complexity is apparent in many nations across the globe. 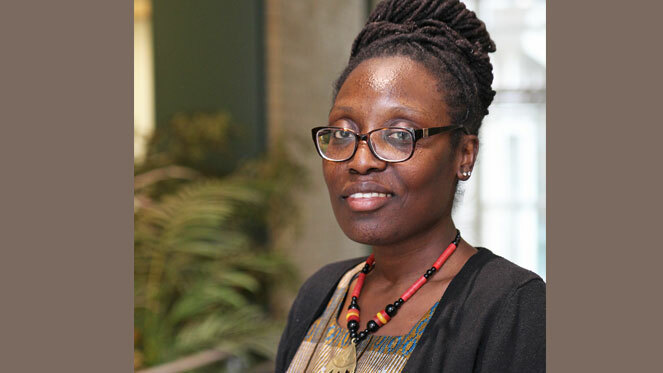 Carnegie Mellon University's Mame-Fatou Niang studies cultural minorities with particular interest in French people of African and Muslim descent. France is an interesting case because it is at the crossroads of Europe, Africa and the Middle East. Niang, an assistant professor of French and Francophone Studies in the Dietrich College of Humanities and Social Sciences, is writing a book on Afro-French identity and recently completed one on “les banlieues françaises,” which are distressed suburbs primarily made up of immigrants in France. She collaborated with recent graduate Kaytie Nielsen (BHA’16), a creative writing and directing double major, to create a documentary that will be screened on the festival circuit in North America and in France. The film “Mariannes Noires,” which was created for Nielsen’s Dietrich Honors Fellowship project and includes interviews with seven Afro-French women, is described as "a critical piece in the study of national identity in Post-Charlie Hebdo France." Niang has been quick to adopt video as a teaching tool and shoots brief footage on her travels that she brings into the classroom. "These three-minute films say so much to students about France and its changing identity," Niang said. In one video, for example, she filmed an outdoor market in the Alps just as Sunday mass let out. The crowd is made up entirely of senior citizens. Niang asks her class why young generations are absent from the church scene. "The video gets them talking. I put up these images, give them a topic and all of a sudden you're building up a discussion. I absolutely love it when you have a good exchange of ideas in class," she added. The concept of what it means to be French today is at the heart of her work. "Mame plays a vital role in our French and Francophone Studies Program, the Department of Modern Languages, and the university community. A native of Senegal with broad research interests in contemporary France, Sub-Saharan Africa, transnational studies, media studies, gender studies, and urban studies, she has enriched students’ exposure to the diversity of the French-speaking world," said Susan Polansky, head of the Department of Modern Languages and teaching professor of Hispanic studies. "She is a passionate and charismatic teacher who inspires her students and colleagues," Polansky added. Niang’s courses are taught all in French and include "Introduction to French Culture" and "The Francophone World," along with advanced courses that take a deep dive in social issues. Students gain an understanding of cultural complexities while developing language skills and fluency. Niang teaches the tenets that defined French culture throughout the 16th to 19th centuries and challenges students to understand France's national identity in the present. At times, discussions can become controversial, but she expects her students to be respectful of each other. "My teaching style is influenced by my Senegalese culture, which was very strict growing up, but also by my mother, who is extremely supportive and a go-getter. My mother was the second woman in Senegal to earn an engineering degree. I look to her a lot," Niang said. Niang joined the university over four years ago, having earned a doctorate from Louisiana State University and studying previously in Lyon, France. She says the global nature of CMU enlivens her conversations that, in turn, feed into her research. "CMU's Department of Modern Languages is a place where you feel at home but at the same time you are intellectually stimulated," she said. "People are interested in and ready to support your research. In a sense, it was the feeling I got when I first visited, and it has been confirmed."